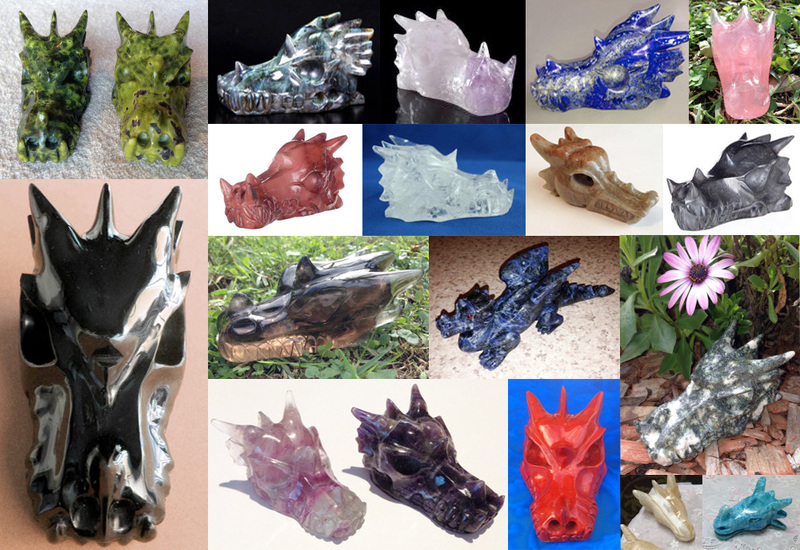 Carved crystal Dragon skulls can be found on multiple sites all over eBay, Etsy, Facebook and other individual websites. I compiled the list below (in no particular order) of some of the places I’ve either seen Dragon skulls or bought them from. Many of the eBay links below are “.com.au” (Australia). Depending on your own location you might need to switch to “.com” or “.co.uk” or another country to get the best price or exchange rate for yourself. The Etsy links should automatically switch to your location. There are also thousands of carved crystal/stone Dragon skulls available (mostly wholesale) through individual sellers on other e-commerce sites like alibaba.com and aliexpress.com but I haven’t bought from any of them and won’t be listing them here as there are are just too many.